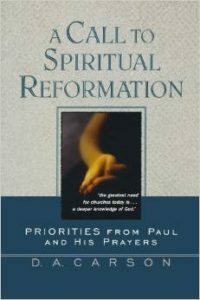 Carson, D. A.. A Call to Spiritual Reformation: Priorities from Paul and his prayers. Grand Rapids, MI: Baker Academic, 1992. This is a book about prayer. From Paul’s prayers. This book is revival fodder. Carson shows us what to pray by showing us what Paul prayed. Looking back, years after my first contact with this book, I can see that this book completely reshaped the way I pray today. While this work is not as precise as some of his later works, Carson is, nevertheless, the most precise thinker I’ve ever encountered. 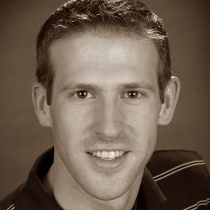 This, combined with his warm-hearted devotion to God, makes him the kind of theologian I want to hang around. If you’re looking for a book that will challenge you at the very core of your spiritual life, I commend this book to you for your growth and joy in God.